Includes a #1 exterior car wash, interior clean, full carpet and mat shampoo, shampoo or leather conditioning of the seats, full armor all of the interior, premium wax applied to exterior of car, and tire shine. Includes a #1 exterior car wash, interior clean, full carpet and mat shampoo, shampoo or leather conditioning of the seats, and full armor all of the interior. Includes a #1 exterior car wash and full carpet and mat shampoo. 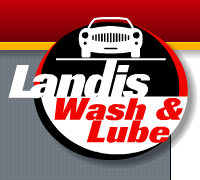 Includes a #1 exterior car wash, interior clean, premium wax applied to exterior of car, and tire shine.